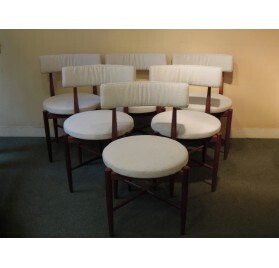 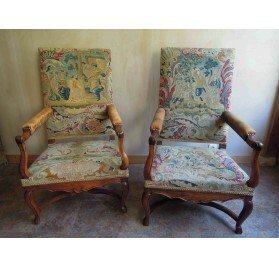 All our antique seats : armchairs, chairs, wing chairs, stools and sofas. 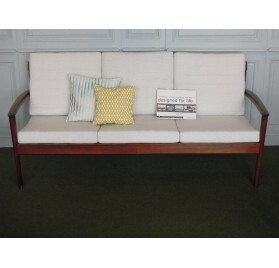 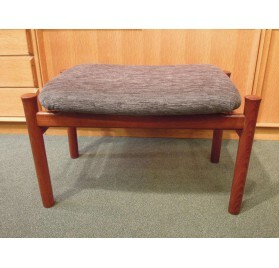 3 places Danish sofa, made of Rio rosewood.Design by Grete Jalk, edited by Poul Jeppesen in the late 50s or early 60s.New webbing and cushions. 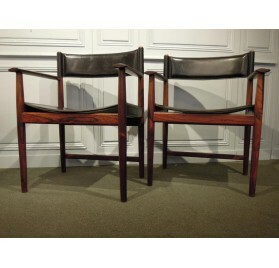 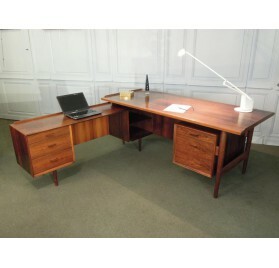 Pair of 2 armchairs, in Rio rosewood and leather.Danish design by Kurt Østervig, edited in the 60s by Sibast. 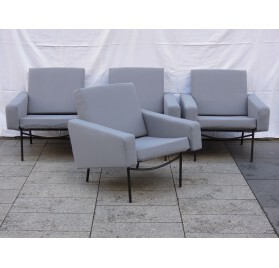 Set of 4 armchairs and a armless chair, model G10 (1955) by Pierre Guariche, edited by Airborne.Can be sold by pair.